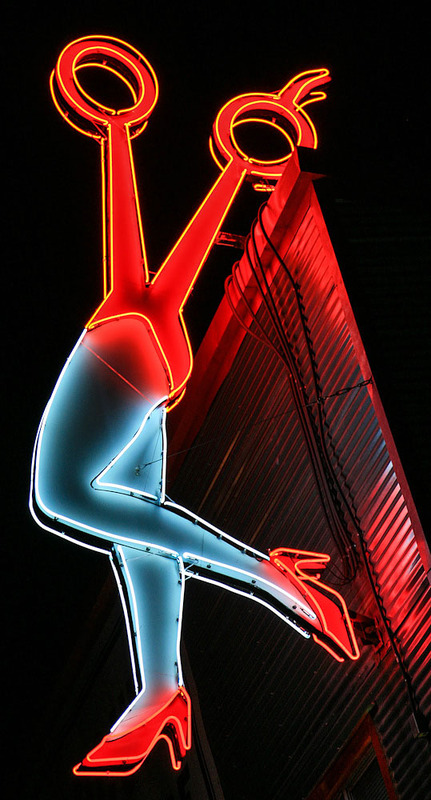 Check out this neon sign for the Gulf Wind Motel in Houston, TX. 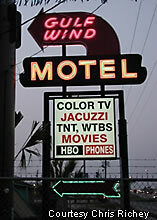 The Gulf Wind advertises all the common amenities, including jacuzzi, movies, even TNT and HBO. 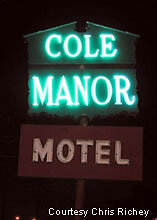 The Cole Manor Motel in Dallas is another neon motel sign that tries to attract the attention of motorists and potential lodgers by lighting up its sign. 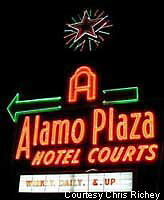 The Sun Valley Motel marquee in El Paso features a cowboy (unfortunately not lit up) and a neon sign. 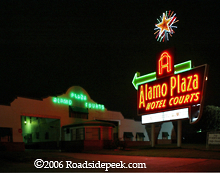 The Cortez Motel is another unique roadside sign with an outline of a character. Follow the sign to a roadside motel stop. Have no idea what the lodging is like inside, though. 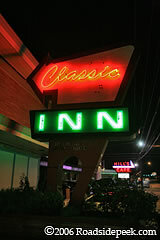 Check out the neon at the Classic Inn in Austin, TX. 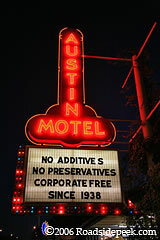 The neon glows off of Congress Avenue, leading to a definite roadside atmosphere.